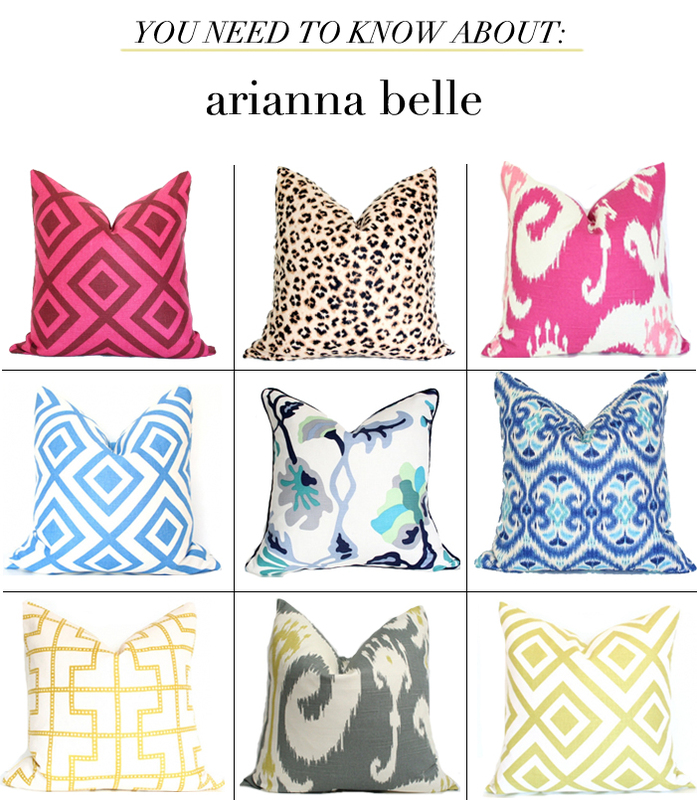 I first came across Arianna Vargas through her blog, Arianna Belle: Organized Interiors. (A girl after my own heart. She showcases beautifully organized spaces, and she gives some great tips on how to keep your own home organized. I love looking at that kind of stuff.) I quickly realized that this lady has a great eye for design. You can see for yourself in her Etsy shop where she sells a variety of throw pillows. She has so many amazing options! Whether you like a bold pattern like David Hicks’ La Fiorentina (one of my personal favorites) or your prefer something a bit softer á la Barbara Barry, you’ll find it in this shop. Or if you’ve got something else in mind, Arianna offers custom listings so you can exactly what what your heart desires. Add this little shop to your bookmarks! Perfect timing…I'm on the hunt for new pillows. Love those pillows! I will buy some! LOVE these! So fresh and bright, perfect for a summer room re-vamp! Love these! Will definitely order! Love these!The pillows are so great! Wow what a pleasant surprise!! Thank you so much for the kind words Bradley!